San Diego Association of Governments and the Metropolitan Transit System were among the recipients announced Tuesday of $224 million in California State Transportation Agency grants aimed at bolstering public transit to reduce greenhouse gas emissions. 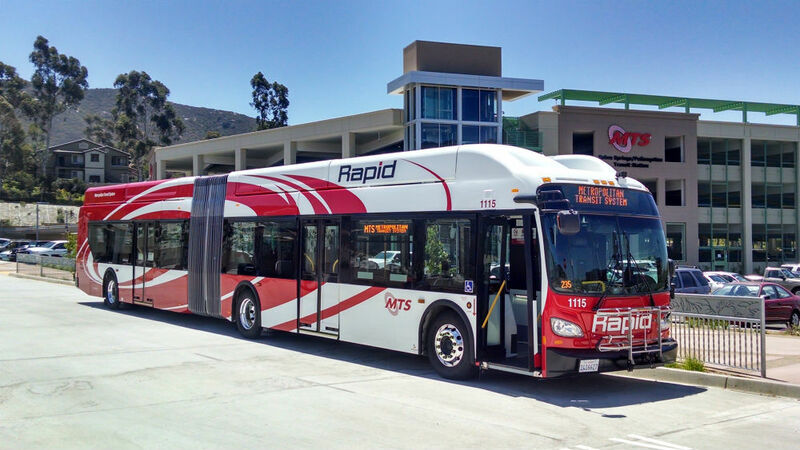 SANDAG was awarded $4 million to help complete the final 11 miles of a 21-mile Bus Rapid Transit route between downtown San Diego and the Otay Mesa border crossing, with service as frequent as every 15 minutes. MTS received $31.9 million for a new Courthouse Trolley Station to serve as the terminus for the Orange Line, along with congestion-relief at the Santa Fe Depot and the purchase of eight trolley vehicles. A total of 14 grants were awarded to agencies across the state.